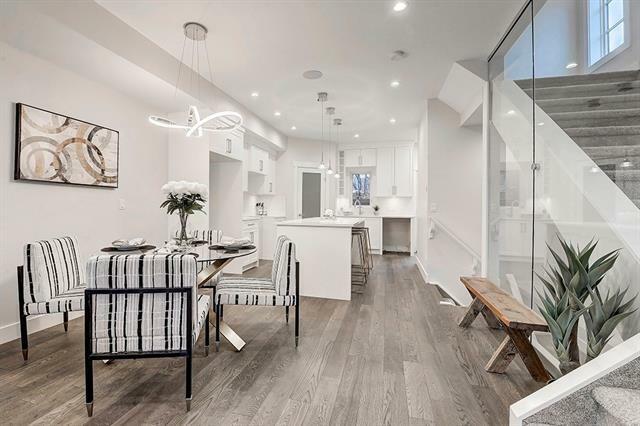 Stunning Inner City executive living. 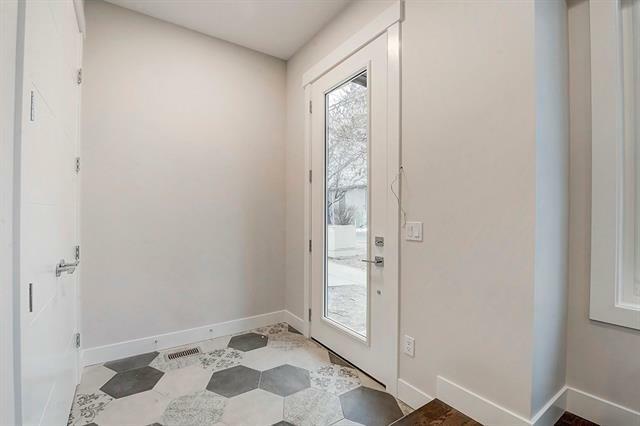 This well designed home features an open concept main floor. The entertainers dream kitchen has Quartz Counters, quality cabinets and high end Kitchen-aid Appliances. The 2nd floor has 1 bedroom full washroom, laundry rm, a bonus living area with fireplace and built-ins. The very bright second level has a west facing patio door that leads to a large covered deck completing the 2nd lvl. 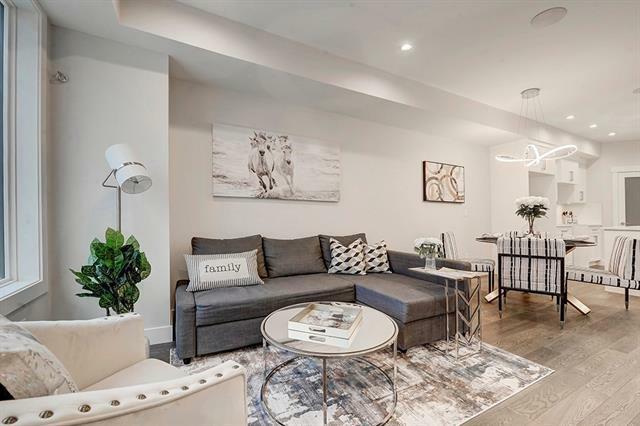 The 3rd floor has 2 large bedrooms with ensuites featuring High end finishings of quartz and heated tile floors The master has a lrg walk in closet, vaulted ceiling and a huge window with views of downtown. The basement is fully finished with a full washroom, bedroom and a recreation area with built-in wet bar. 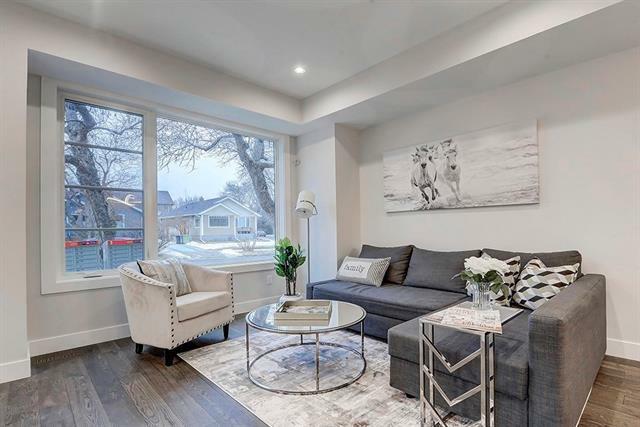 This homes has 4 finished levels with 4 bedrooms 4.5 washrooms along with a single car garageWalking distance to downtown and many amenities including shopping and recreation.